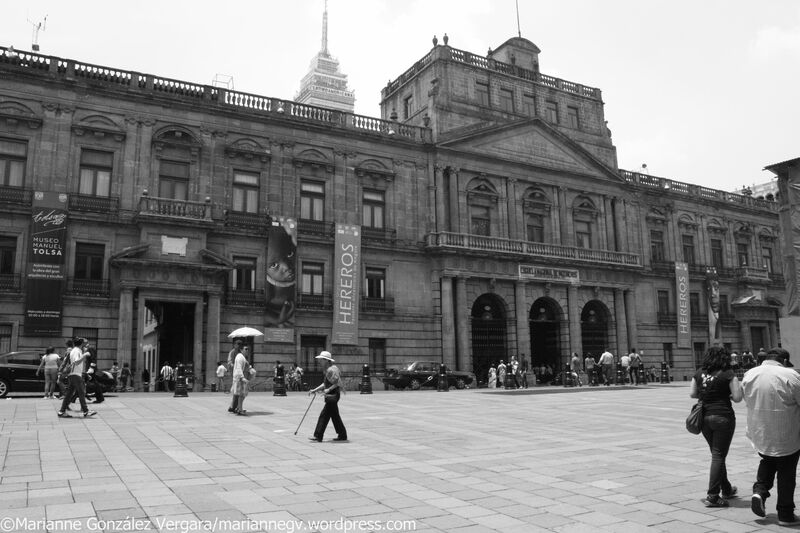 B&W: Mexico City Downtown: Palacio de Minería. The Palacio de Minería building was constructed between 1797 and 1811, by architect Manuel Tolsá, commissioned by the Real Seminario de Minas (Royal Seminar of Mines). Photo for Monochrome Thursday. Do you want to join?